Percell Medium T-Shape Stainless Steel Slicker Brush with Rubber Grip is the medium size out of the four sizes available. This Slicker Brush is made for pets with long or thick curly hair. It is a great tool for pet owners to do regular grooming at home without going into the pet salon. 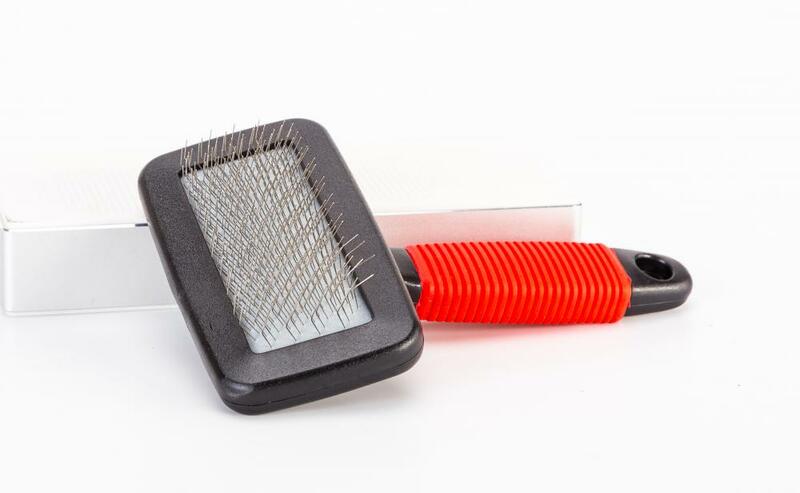 This Slicker Brush is made from high quality stainless steel wire bristles, all angled, so brushing it against your pets skin, protects your pets' skin from scratch. 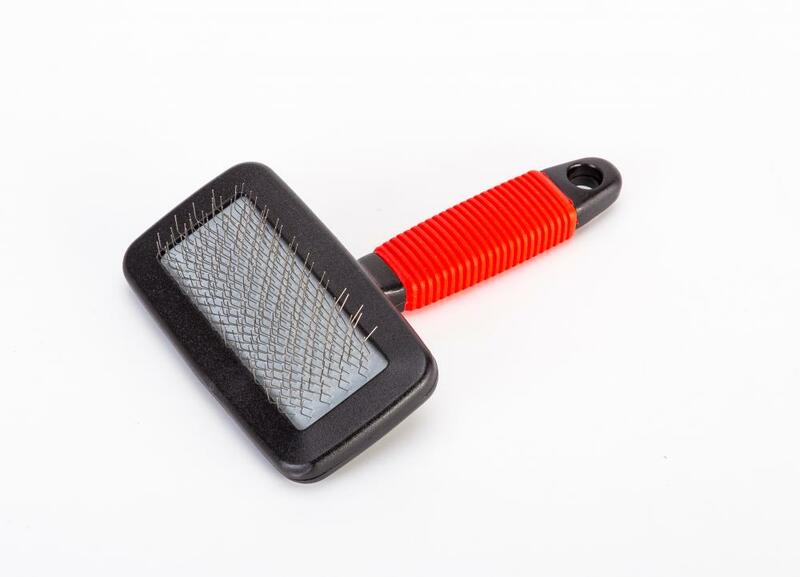 This Slicker Brush is an essential tool for Dog Grooming which works with mats and tangled hair. 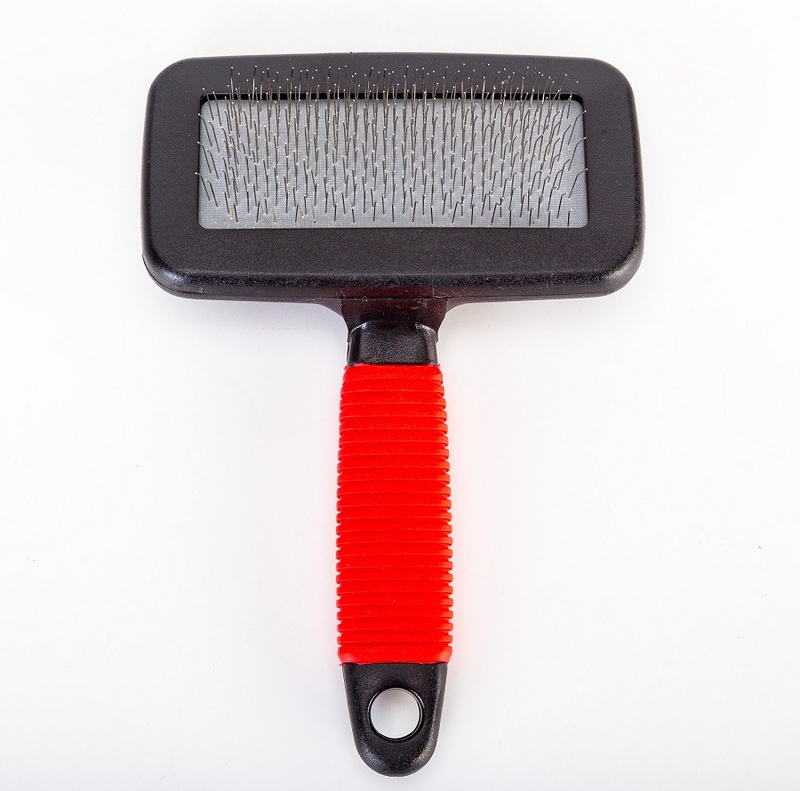 Regular brushing with this Slicker Brush both makes your dogs hair look nice and healthy and also it's a good way to interact with your dogs. Your dogs will love to be brushed as it massages their body, feels comfortable and soothing. 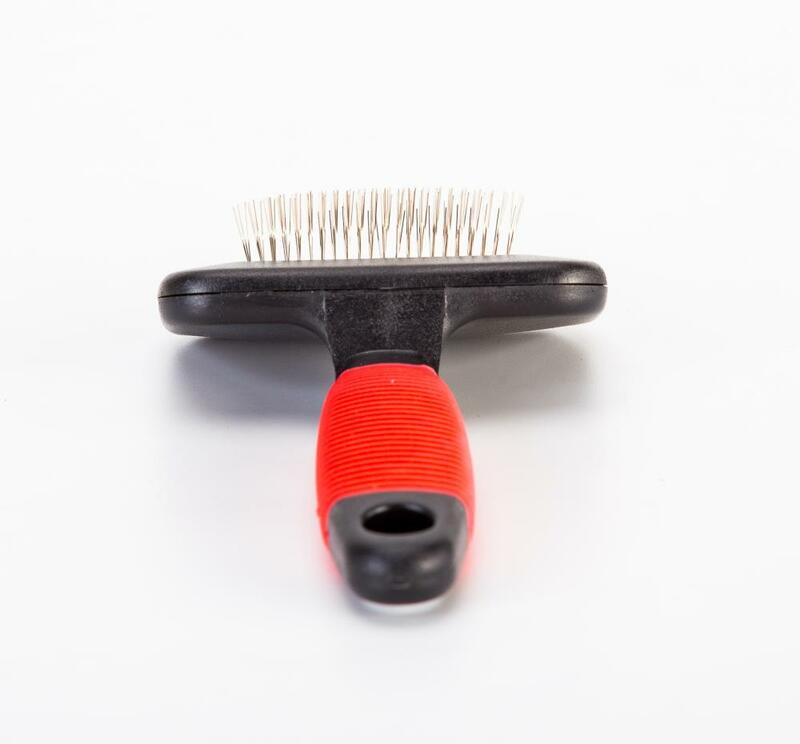 Brushing your dogs hair regularly with this Slicker Brush will help you monitor your dog health as well. As you can see any skin problems underneath the covered hair while you do it regularly. 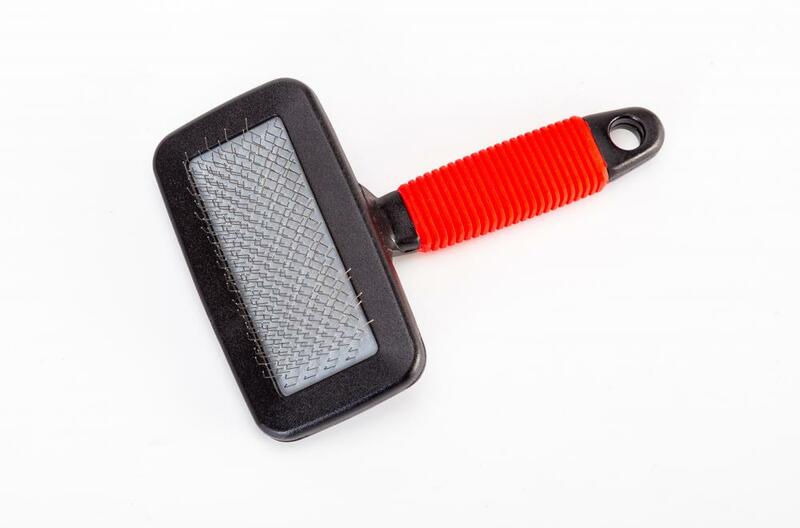 The rubber grip is comfortable for pet owners, with its non-slip design, you are able to hold it well with less effort. Grooming your pets at home is easy and quick. This Medium Slicker Brush is well-made with good quality material, with well maintenance, it will be able to last a long period of time. Professional grooming at your fingertips. 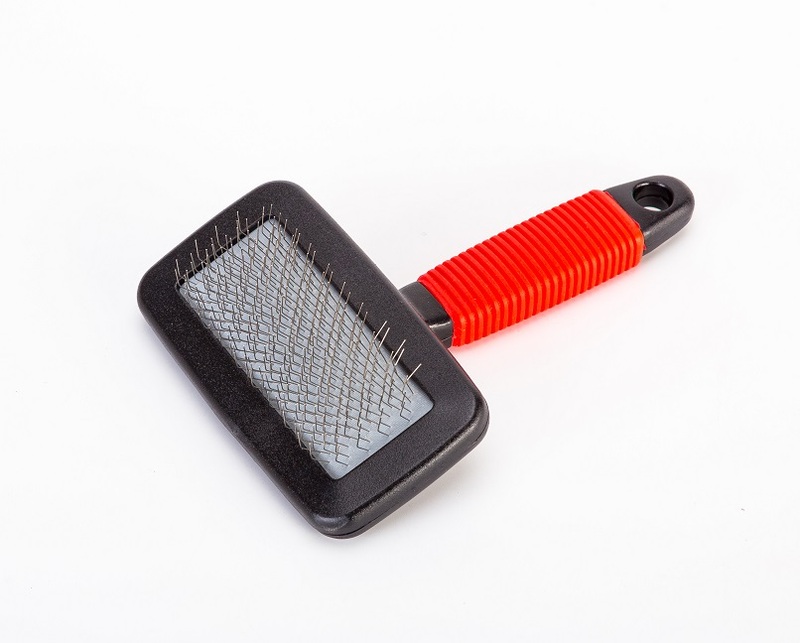 Looking for ideal Medium Slicker Brush Manufacturer & supplier ? We have a wide selection at great prices to help you get creative. All the Easy to Use Slicker Brush are quality guaranteed. We are China Origin Factory of Comfortable Slicker Brush. If you have any question, please feel free to contact us.